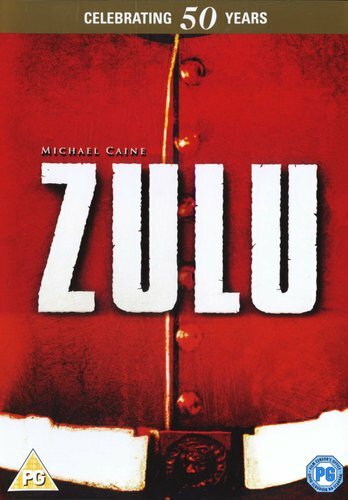 Michael Caine stars in this epic story of the battle of Rorke's Drift, on January 22nd 1879, where 1,200 British troops found themselves completely outnumbered by irate Zulu warriors in Natal, South Africa. Having already destroyed a very large British garrison, 4,000 Zulu warriors are now on their way to overcome the handful of men stationed at Rorke's Drift. The two lieutenants in charge of the garrison, Jon Chard (Stanley Baker) and Gonville Bromhead (Caine), are at odds with each other, but manage to rally the men together and put up a courageous fight. Only a few of the men survived, eleven receiving the Victoria Cross. As description,regarded by many as one of the greatest movies made.Everything is superb in this movie cast,production,scenic location based on true events,simply google this movie and you will see the acclaim and esteem this movie is held in.